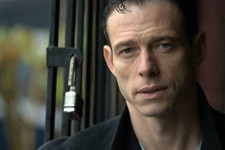 Christopher Showerman plays the “Man”. After playing bit parts and minor roles in a few small projects, he landed the lead role of George in Disney’s George of the Jungle 2. Since then, Christopher has done several TV and feature projects along with live theater performances such as Legends, starring Joan Collins and Linda Evans where he he toured the US and Canada. In 2008 He wrote and produced a western teaser, “Between the Sand & the Sky”, in which he starred with Dee Wallace and Muse Watson. Christopher, recently wrote, produced, directed and acted in the full length music drama “Radio America” where he even managed to write all of the songs. Showerman is also a passionate fitness enthusiast and has been featured in several print and online articles. As an actor, Showerman cherishes the opportunity to lose himself in a variety of diverse character types. Rachael St. Rose plays “Lexi” At an early age, Rachael moved to London to train at The Sylvia Young Theatre School where she was awarded the Maggie Melville award for ‘The Most Promising Drama Student of the Sylvia Young Theatre School 2004’. Chanel Marriott plays “Dahlia” Born & raised in Perth, Western Australia, Chanel Marriott commenced acting at the age of seven, moving to professional acting at 13, in Lockie Leonard, an Australian children’s television series adapted from the Lockie Leonard books by novelist Tim Winton. The series was filmed in Albany,Western Australia & screened on the Nine Network on 19 June 2007. A second series was filmed in 2009 & screened in 2010 in Australia, the UK and Ireland. Lockie Leonard was one of the most successful Australian children’s television productions with two awards wins (AFI – Australian Film Institute for Best Children’s Television Drama & Logie Award for Most Outstanding Children’s Program) & nine nominations.